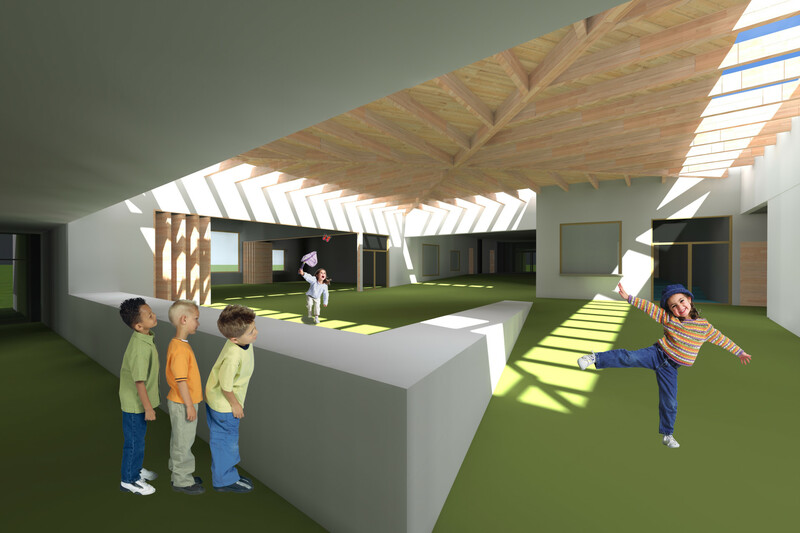 The main idea behind the kindergarten is joining classrooms and study rooms using a common atrium that forms a single playroom. 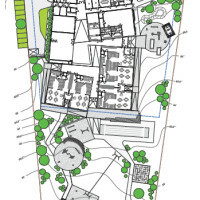 Studyrooms are planned in the northern wing of thebuilding, and it is possible to connect them toone another if needed. It is also possible to openstudy rooms into the atrium – this makes spaceuse even more flxible. 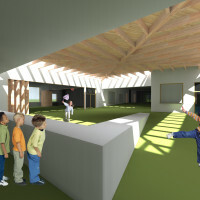 Areas around the centraroom are separated from one another in ordeto allow light into the central room from everydirection and to create different moods for theinterior depending on the time of the day.The starting point of landscape design ideas waan interesting existing landscape and the building architecture with signifiant potential. Jusas in the case of the building itself different activities are separated by reasonable distancethat provide for more space, better views andmore sunlight. 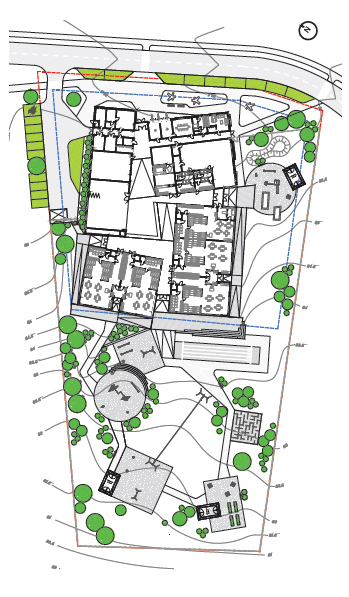 Playgrounds of different typeare placed following the landscape as closelyand creatively as possible – it allows creating aplayful and educative environment. 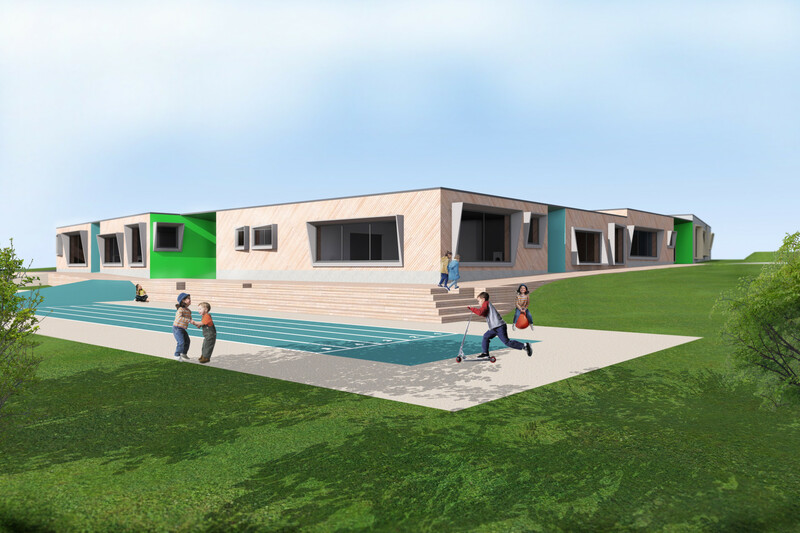 The solutionwas adapted to the building’s design and workas its reflction in the external environment.